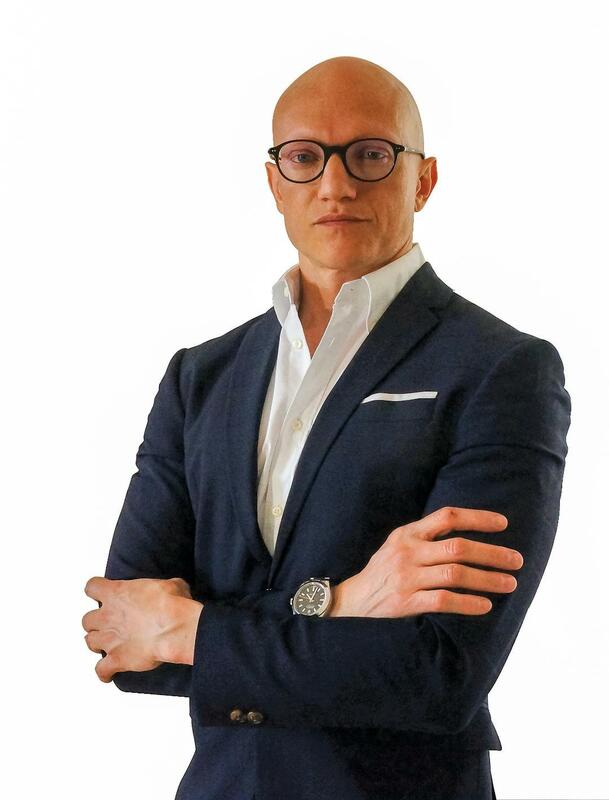 Many believe that one of the factors that exposed the economic vulnerability of Greece, eventually leading to the country’s catastrophic economic crisis was the immense cost of hosting the 2004 Athens Olympic Games. According to Podio, the project was over-budgeted by 7 billion US dollars. But it is not only Greece that has over-budgeted huge projects, as it seems the practice has plagued many other advanced and economies. Germany’s reputation for efficiency and world-class engineering has suffered considerably in recent years after a spate of embarrassing blunders concerning major construction projects. Hamburg’s spectacular Elbphilharmonie concert hall is a prime example with that project completed six years late and costing €700 million more than expected. Expected to open on October 2011, Berlin’s new airport is still delayed and hugely over-budget. The lates opening date is late 2020 but considering how disastrous the airport is proving, there are doubts about whether it will ever open at all. Last week, it was announced that Germany had beaten off fierce competition from Turkey to host Euro 2024, Europe’s flagship international football tournament. Given how catastrophic major construction projects have proven over the past decade (the Leipzig City Tunnel and new Stuttgart train station are other examples), it might come as a relief that organizers don’t have to build any new stadiums in order to host the event. In total, ten will be used for Euro 2024, of which nine were already used when Germany hosted the World Cup in 2006. 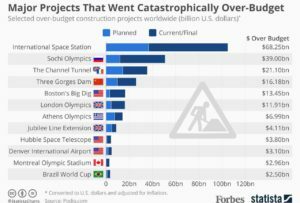 The following infographic shows just how expensive disastrous construction projects can get with the number of sporting events included particularly noteworthy. When Brazil hosted the World Cup, it had to pay $2.5 billion more than planned, according to website Podio. The Olympics are also a prime offender when it comes to keeping costs under control with Athens going $7 billion over budget and London costing $11.9 billion more than planned. All of that pales in comparison to Sochi, however, with that event running an incredible $39 billion over-budget. Despite that mammoth and seemingly unimaginable cost overrun, it is far behind the International Space Station. The ISS had a $36.75 billion budget and it was completed six years behind schedule and cost $105 billion in total – 186 per cent more than planned. China has plenty of experience with major construction projects, having embarked on a massive building spree over the past 30 years. It isn’t immune to catastrophic cost overruns either with the Three Gorges Dam 163 per cent over budget despite being completed three years early. The project had a final price tag of $25.96 billion, $9.85 billion more than planned. Even the stereotypically efficient Germans are guilty of some embarrassing blunders on the construction site. Chief among them is the Elbphilharmonie in Hamburg and Berlin’s new airport, both of which are delayed with massive cost overruns. The Channel Tunnel, Three Gorges Dam and Boston’s Big Dig are three of the more notable projects where money spiralled out of control. Between them, they cost $50 billion more than originally estimated.